Science is closing in on a potential way to spot Alzheimer's disease early enough to treat it before symptoms such as memory loss and confusion take over. Sleep is crucial for your heart, weight, and general well being—as everyone who has spent a night tossing and turning knows. 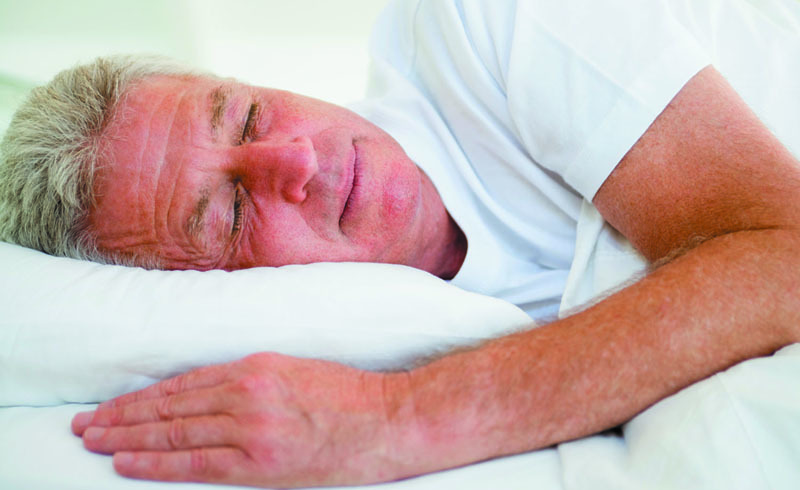 Now, research suggests that poor sleep may be linked to Alzheimer’s disease. Researchers have long suspected that sleep and Alzheimer’s may be linked, and a new study offers up an important piece of the puzzle. Some early indicators of Alzheimer’s disease include tangles of tau, a protein in the brain, along with plaques of a substance called amyloid-beta. In the study—involving 119 people 60 years of age or older—researchers monitored the participants’ sleep at home over the course of a normal week via portable monitors that measured their brain waves as they slept; the volunteers also wore a wristwatch-like sensor that tracked their body movement through the night, and they kept sleep logs. The researchers measured levels of amyloid beta and tau in the brain and in the cerebrospinal fluid of the volunteers. They were able to link lower levels of slow-wave sleep to higher levels of tau in the brain. They also found higher tau-to-amyloid ratios in the cerebrospinal fluid of poor sleepers, further cementing a link. These findings were published in the journal Science Translational Medicine. Not too long ago, the same team of researchers found that a single night of poor sleep could raise tau: The researchers collected samples of cerebrospinal fluid from eight adults who were monitored during a night of normal sleep and again over the course of 36 hours of sleep deprivation. They found a 51.5 percent increase in tau in participants robbed of sleep. In a companion experiment, they found that sleep-deprived mice had twice the amount of tau as well-rested mice. These findings appeared in Science. 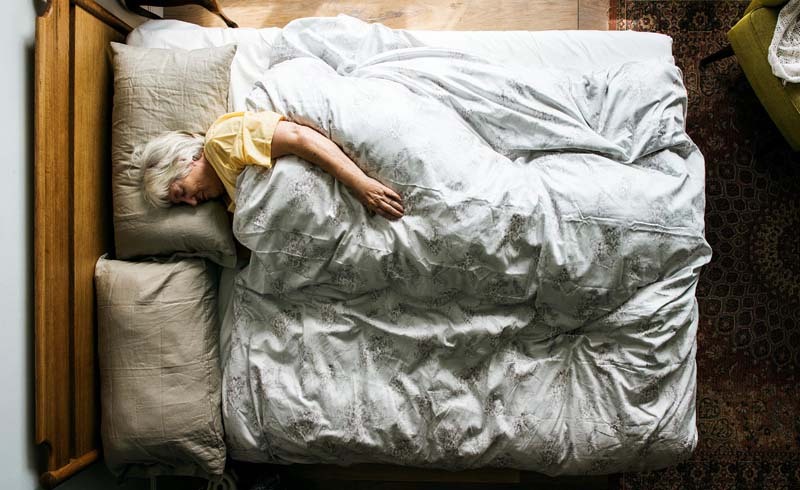 David Holtzman, MD, head of the Department of Neurology at Washington University School of Medicine in St. Louis and a study author on both studies believes a link between poor sleep and Alzheimer’s is becoming clearer. “Getting appropriate levels of sleep and not being sleep deprived for long periods of time is likely linked to decreased future risk of dementia due to Alzheimer’s disease,” he says. Sleep may be the chicken or the egg, he says. “Poor sleep may increase the risk of Alzheimer’s disease, but Alzheimer’s disease can also disrupt sleep.” More research is needed to draw any firm conclusions, he says. Until then, troubleshooting any sleep issues you may have starts with a hard look at your habits: “Are you drinking caffeine late in the day? Watching TV until bedtime?” There are many habits that affect the quality and quantity of sleep, he says. Aim for seven to eight hours of sleep per night. If this exercise does not produce results, talk to your doctor about your sleep.